← Hello (scraping) world (again)! DEiXTo & the Global Cancer Collaboratory project! We are glad to announce that DEiXTo will be used by the Open Health Systems Laboratory (OHSL) in their Global Cancer Collaboratory project. This project aims at aggregating information from cancer center web sites into some central VIVO hubs, in order to bootstrap the creation of research networks. 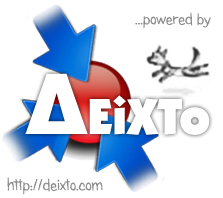 A good bit of their labor will involve using DEiXTo to extract structured text from existing web sites. They will then transform it a bit and map it to the set of ontologies contained in the VIVO platform. This entry was posted in News and tagged cancer, OHSL, ontologies. Bookmark the permalink.